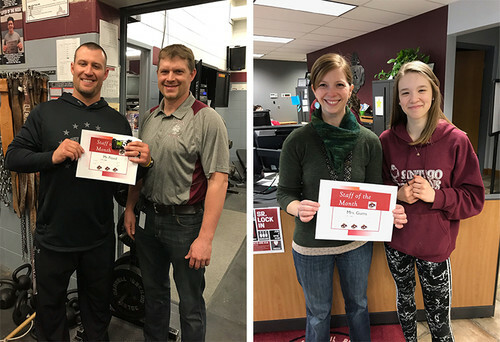 Congratulations to our #AntigoPride Staff Members of the Month, Mr. Flood and Mrs. Gums! Students of the Week are recognized for being here, safe, respectful and responsible by all staff members and teachers. Red Robin Rewards are cards that students are given while they are following our school-wide expectations. Staff members are asked to hand out at least five per week. Students are expected to follow our matrix behavior and are acknowledged with Red Robin Rewards when they do so. Students can redeem their Red Robin Rewards for certain incentives.